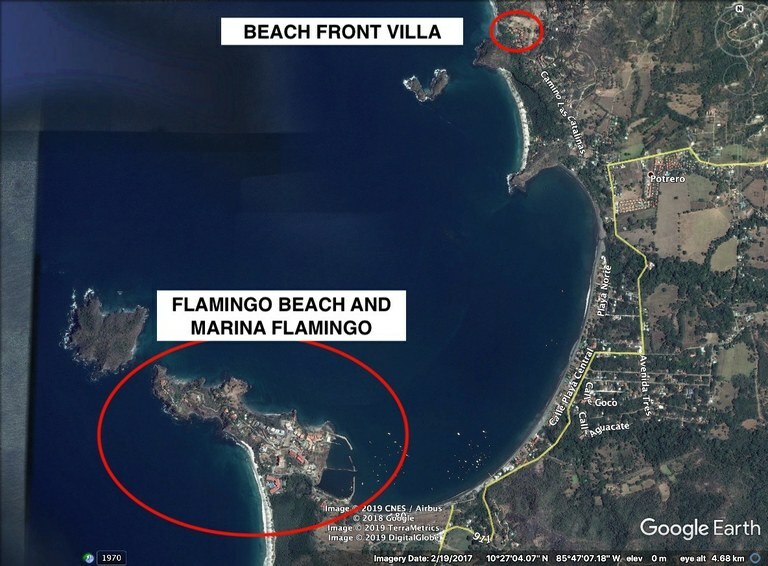 Located right on the beach in beautiful Playa Prieta, The villas are distributed in a lush 6 acre garden with direct access to the beach. 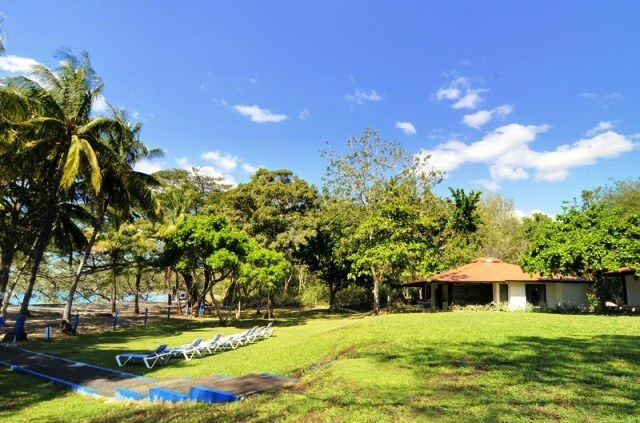 The There is also have large swimming pool as well as a separate shallow pool for children. 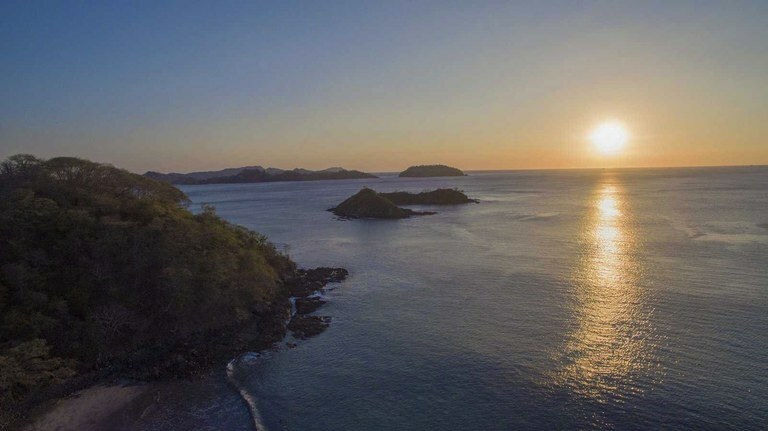 If you've been dreaming of owning an oceanfront property in Costa Rica, look no further than Villas Estival #9. 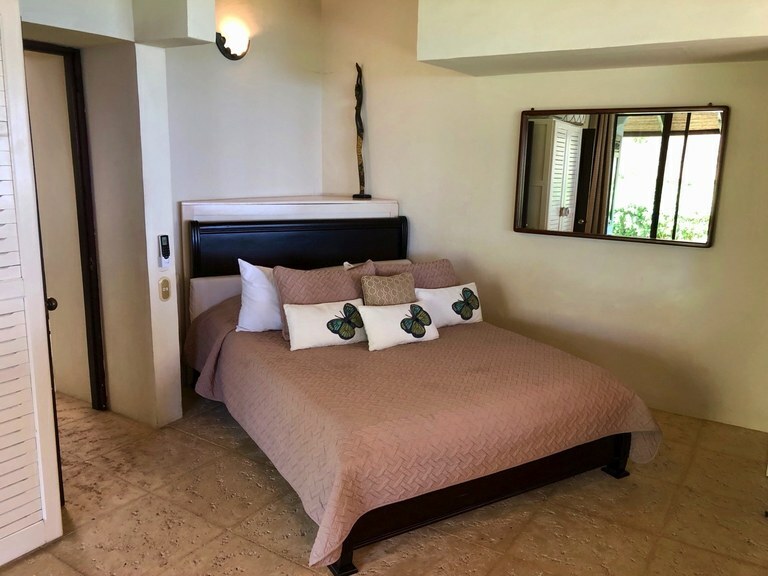 Whether you're interested in a full-time residence or a rental property, this spectacular titled beachfront 3 bedroom, 2 bathroom home in Playa Prieta, possesses a unique charm you can't find anywhere else. 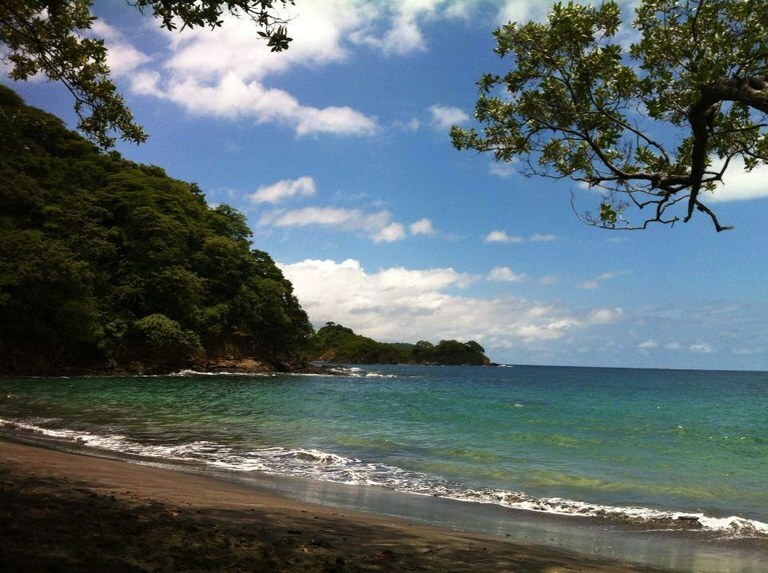 The property line running along the white sandy, almost private, beach is a piece of paradise. Moreover, with its elevation, you'll be privy to unobstructed, panoramic sunsets 365 days a year on the privacy of your oversized outdoor living space balcony. 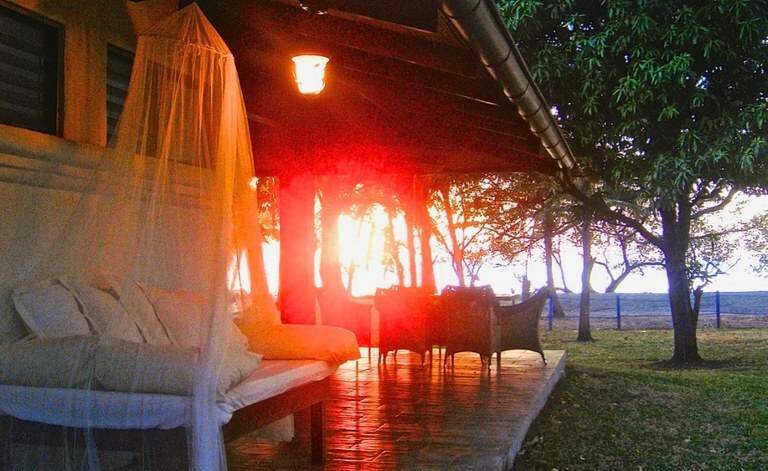 Spend your days lounging about under the large shaded patio and watching best sunsets. 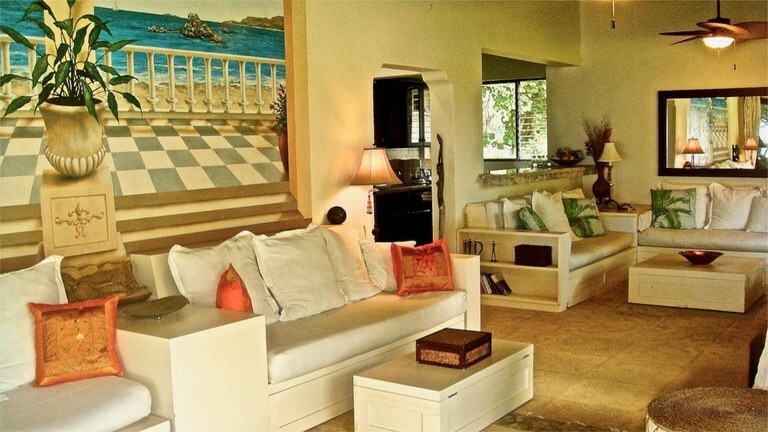 Villa Estibal #9 comes equipped with an excess of common community amenities including: Daily cleaning service included 24/7 security Private access to the beach Large pools for children and adults Playground for children Fruit trees Fully equipped villas Air conditioners Coordination for different tours in the area Full time Concierge. 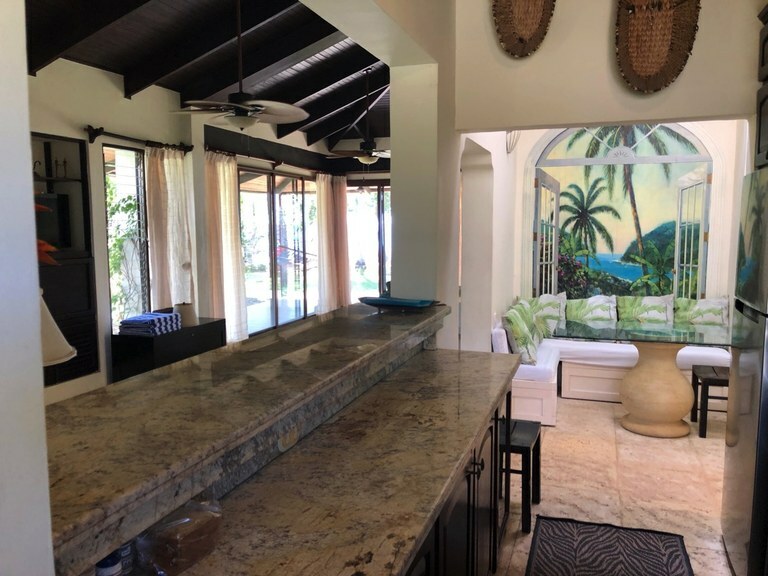 House comes with all the furnishings, stainless steel appliances, granite countertops in the kitchen, air conditioning units, and so much more, including a direct beach front access. 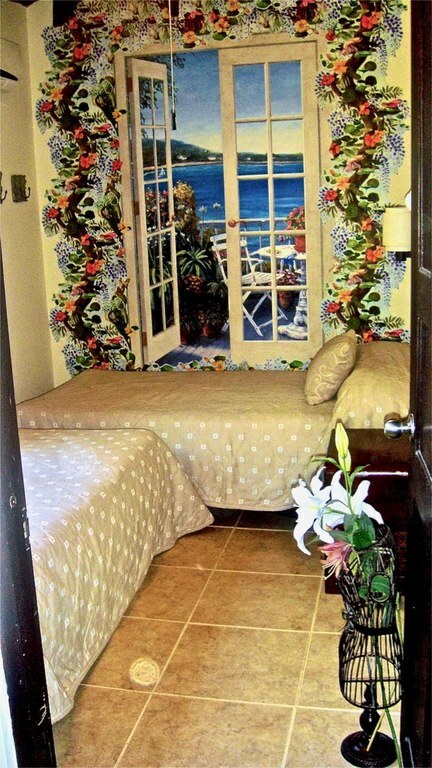 Total of 3 bedrooms, are located on the main floor. There is an expansive outdoor living space around the house. 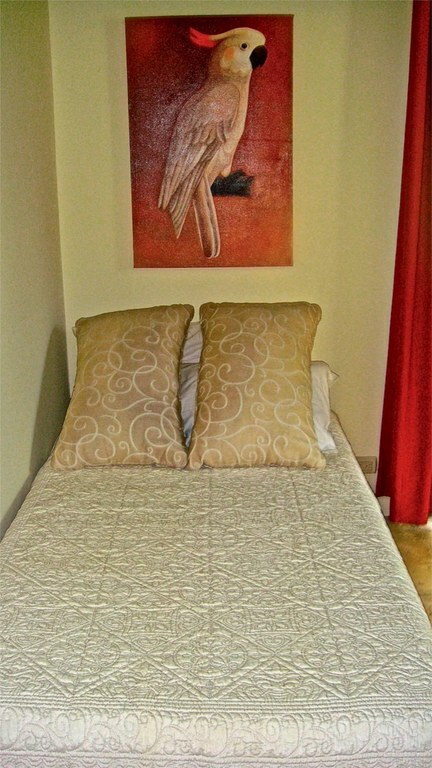 The third bedroom is located behind the common living areas and has two twin beds . 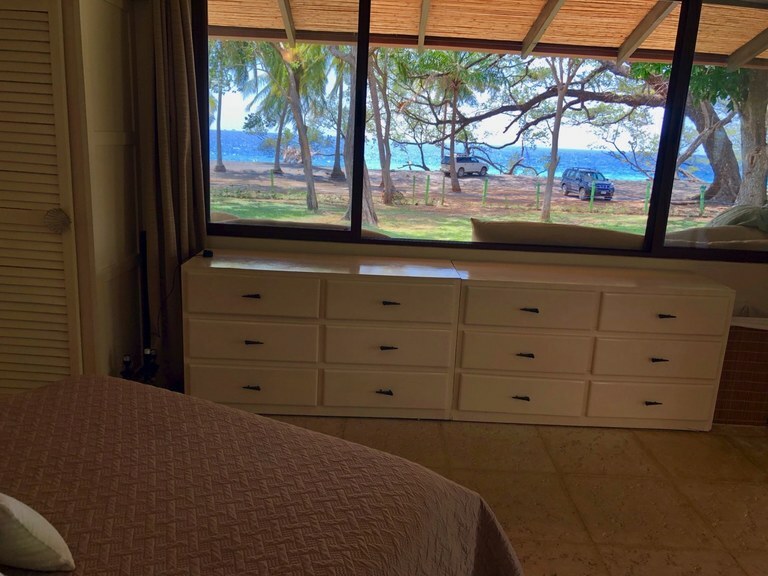 The master suite is facing the beach front view, serves as a sanctuary for those who reside there. 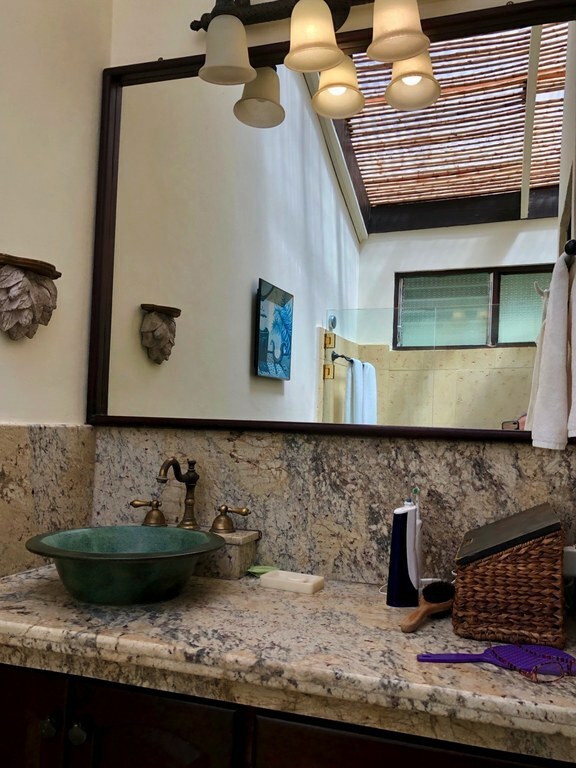 With its own covered patio (900 sq ft), spacious ensuite bathroom, you'll enjoy an elevated sense of peace and tranquility when you need time to yourself. 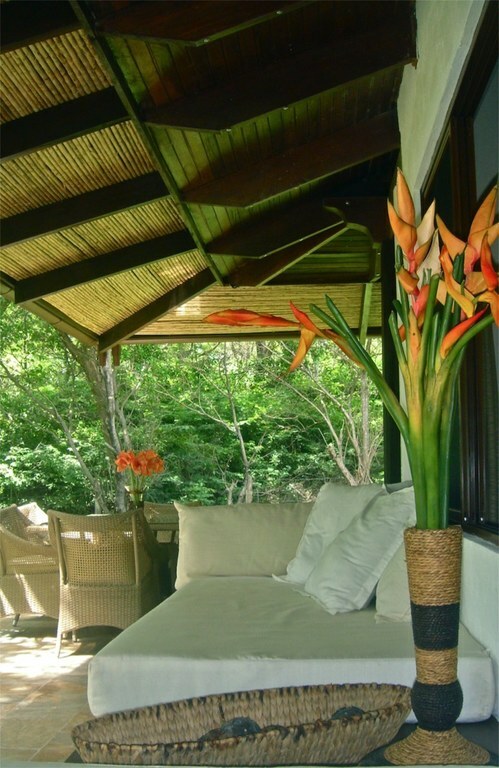 Additionally, the abundance of lush greenery is enough to take your breath away. 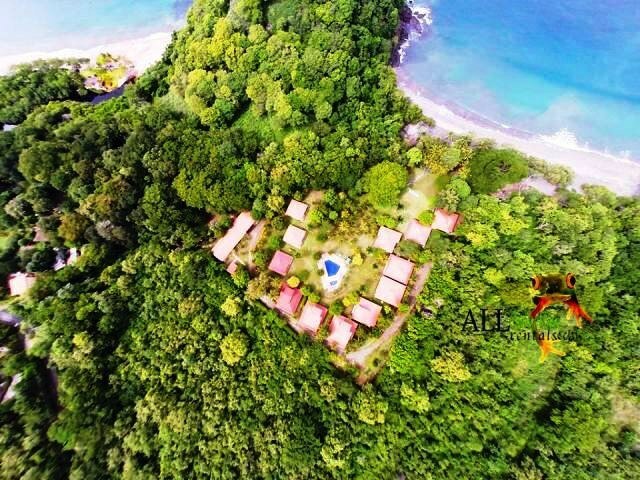 With its mature landscaping and abundance of fruit trees, you'll be able to pick mangos, limes and coconuts right off the trees. 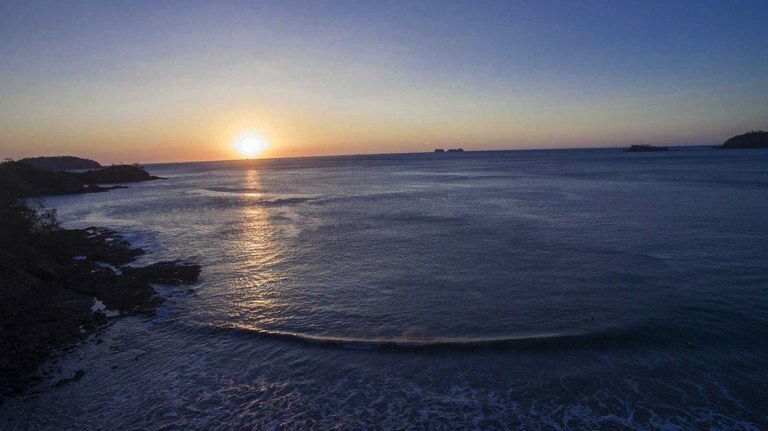 Estival is a rare piece of real estate you won't see available for long. 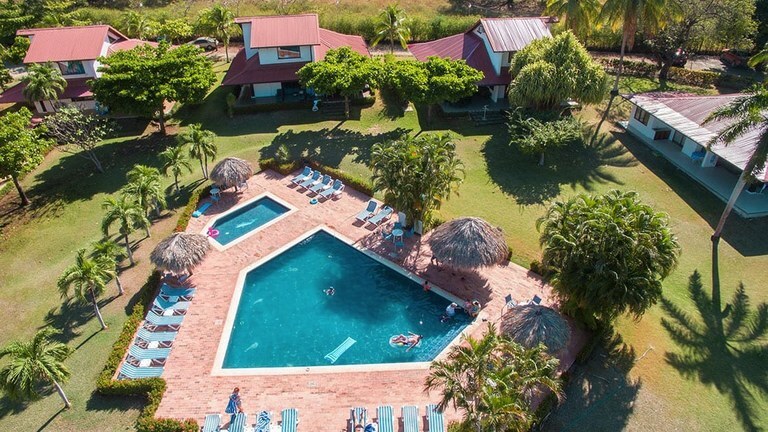 The home has a long successful profitable history as a rental property, more than covering the costs, so if you're not ready to commit to living year round in Playa Prieta, here is a great opportunity to expand your real estate portfolio. 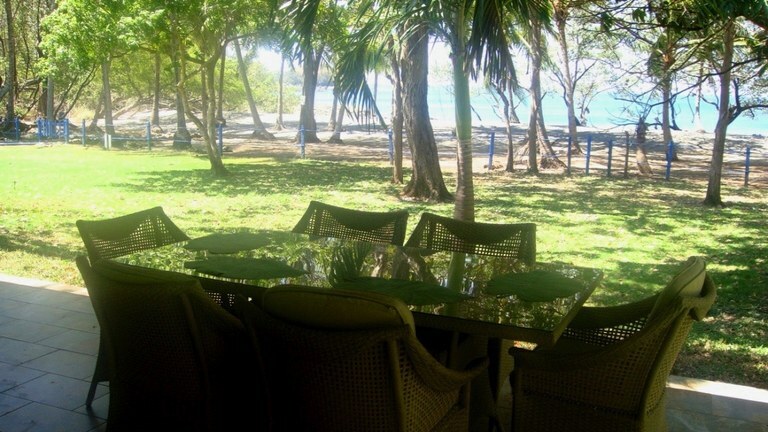 This 140m2 / 1507 SF property is listed with Summer Coast Realty—and for $445.000, it can be yours. 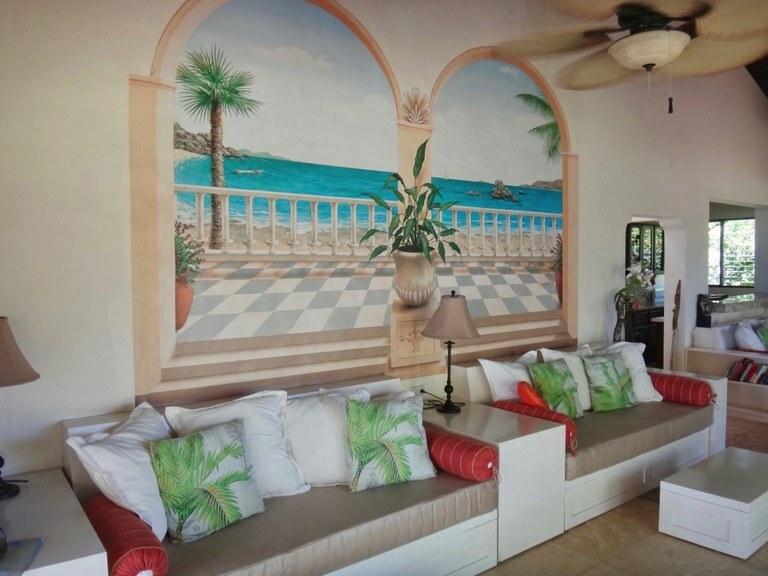 Contact us today for more information or a private tour of this gorgeous beachfront home. 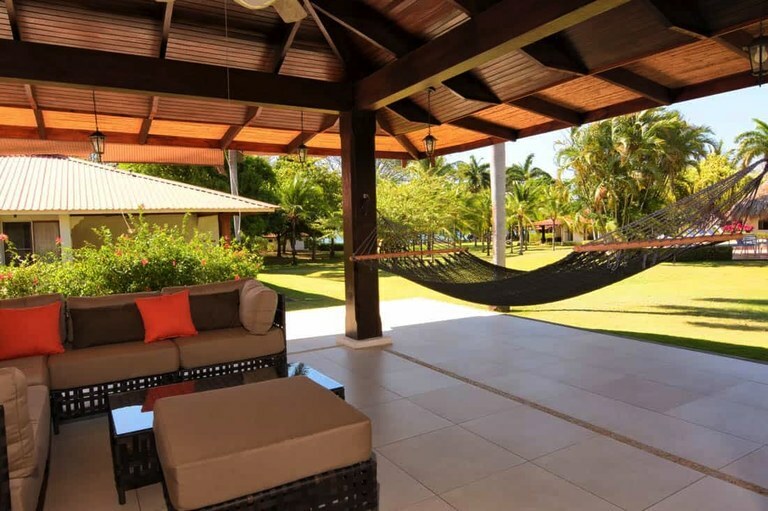 Located right on the beach in beautiful Playa Prieta, The villas are distributed in a lush 6 acre garden with direct access to the beach. 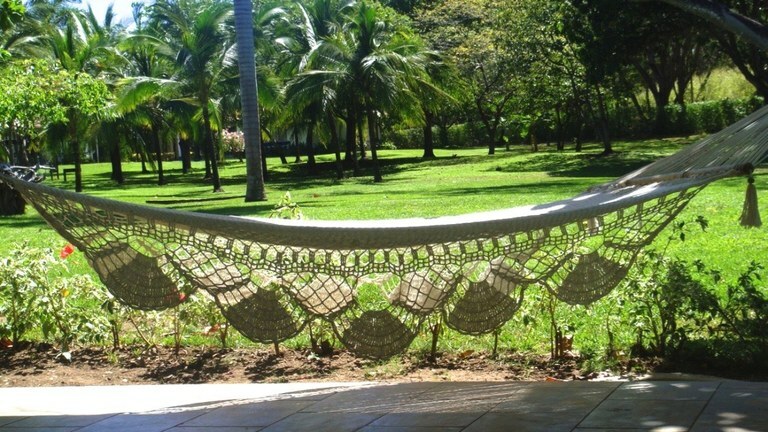 The main characteristics of the complex are its tranquility and communion with nature. 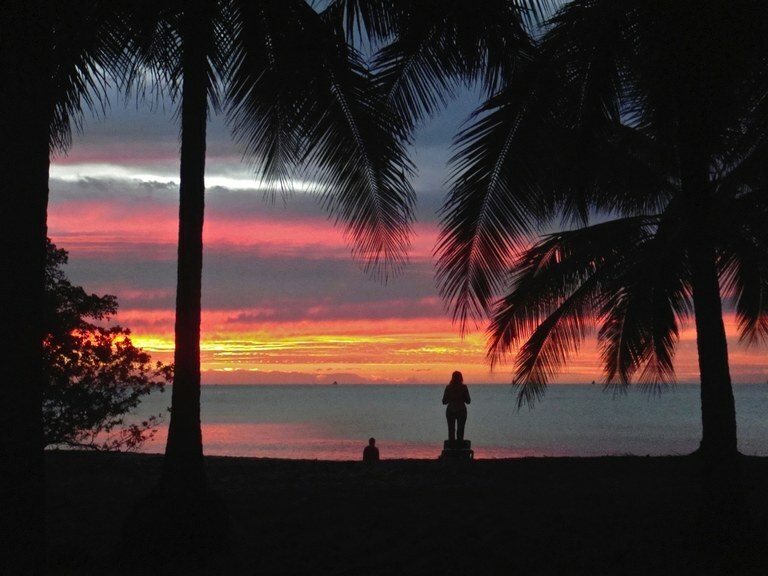 The green areas, in addition to their many palm trees, have a large number of flower and fruit trees. 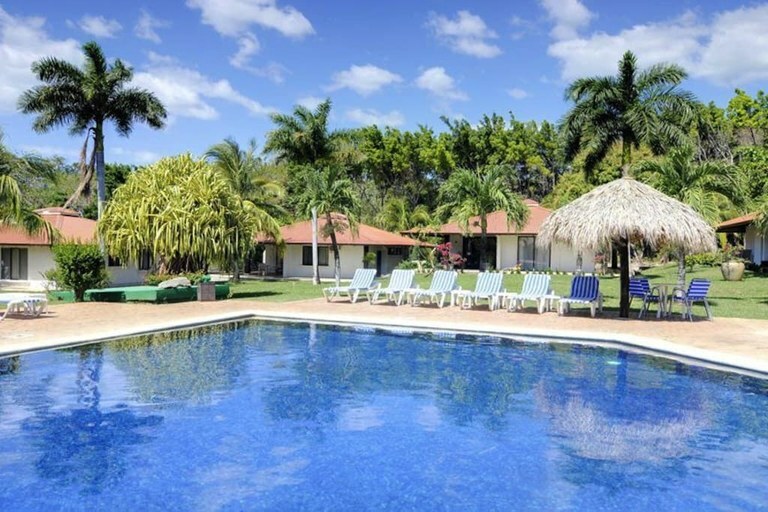 We also have large swimming pool as well as a separate shallow pool for children. 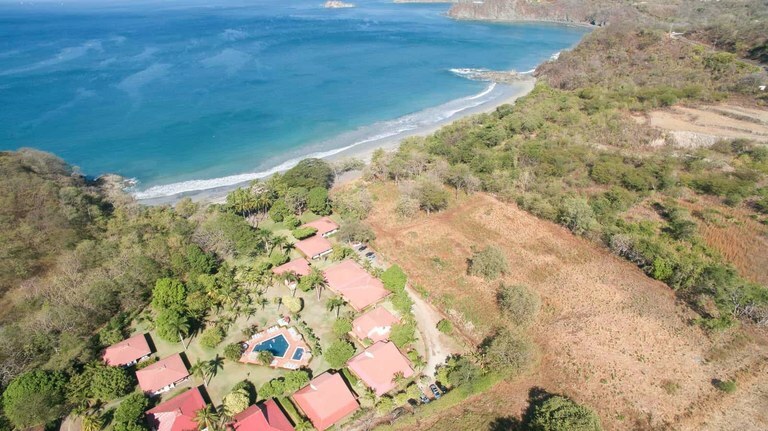 If you've been dreaming of owning an oceanfront property in Costa Rica, look no further than Villas Estival #9. 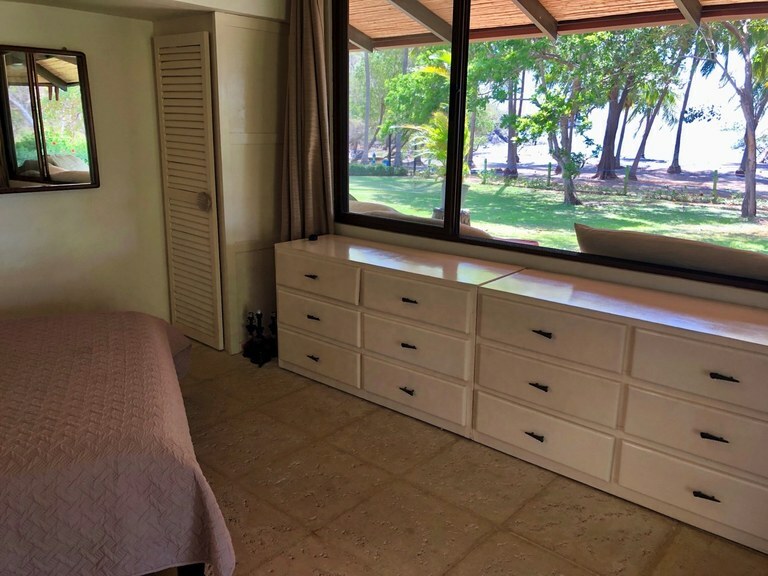 Whether you're interested in a full-time residence or a rental property, this spectacular titled beachfront 3 bedroom, 2 bathroom home in Playa Prieta, possesses a unique charm you can't find anywhere else. 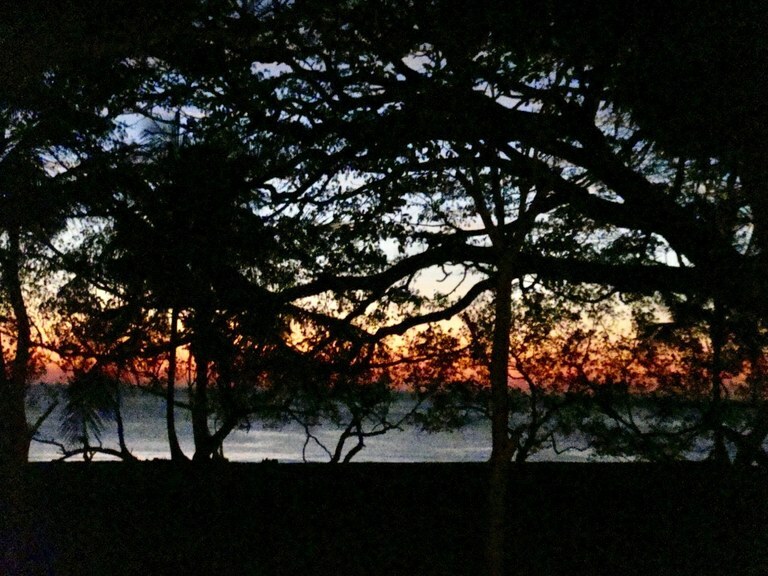 The property line running along the white sandy, almost private, beach is a piece of paradise. Moreover, with its elevation, you'll be privy to unobstructed, panoramic sunsets 365 days a year on the privacy of your oversized outdoor living space balcony. 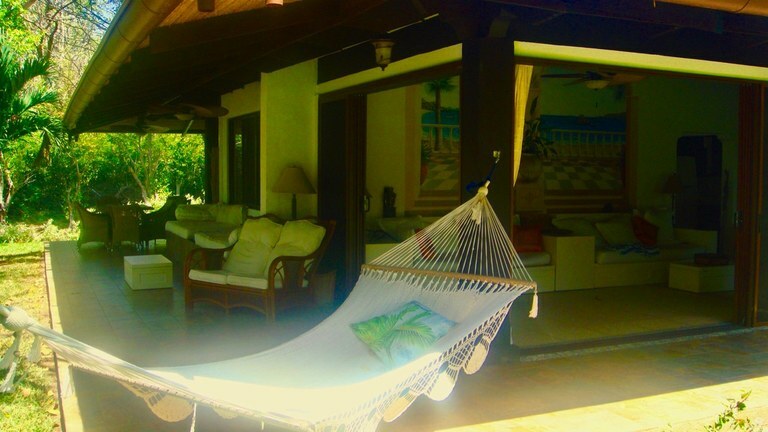 Spend your days lounging about under the large shaded patio and watching best sunsets. 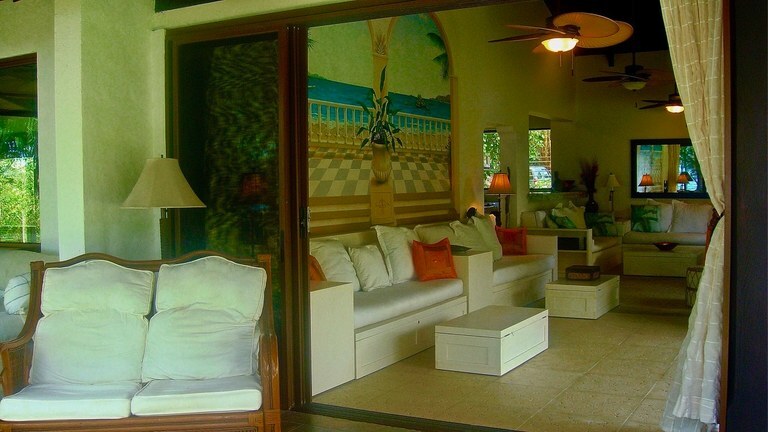 Villa Estibal #9 comes equipped with an excess of common community amenities including: Daily cleaning service included 24/7 security Private access to the beach Large pools for children and adults Playground for children Fruit trees Fully equipped villas Air conditioners Coordination for different tours in the area Full time Concierge. 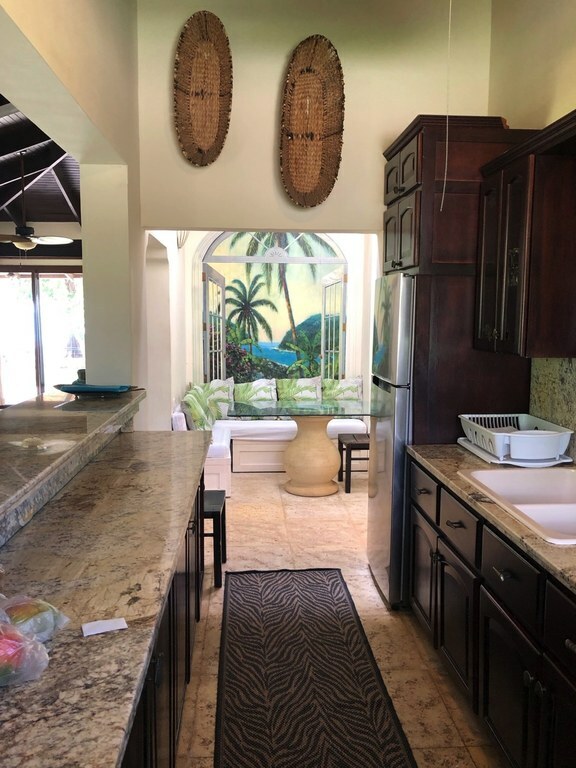 House comes with all the furnishings, stainless steel appliances, granite countertops in the kitchen, air conditioning units, and so much more, including a direct beach front access. 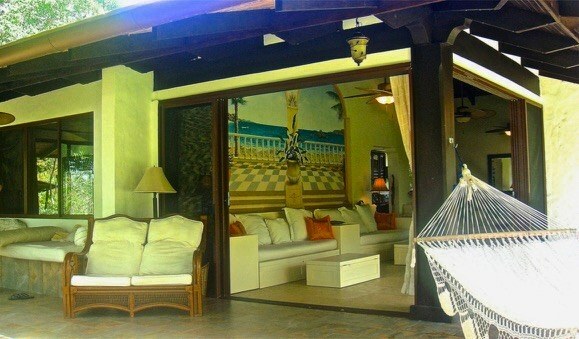 Total of 3 bedrooms, are located on the main floor. 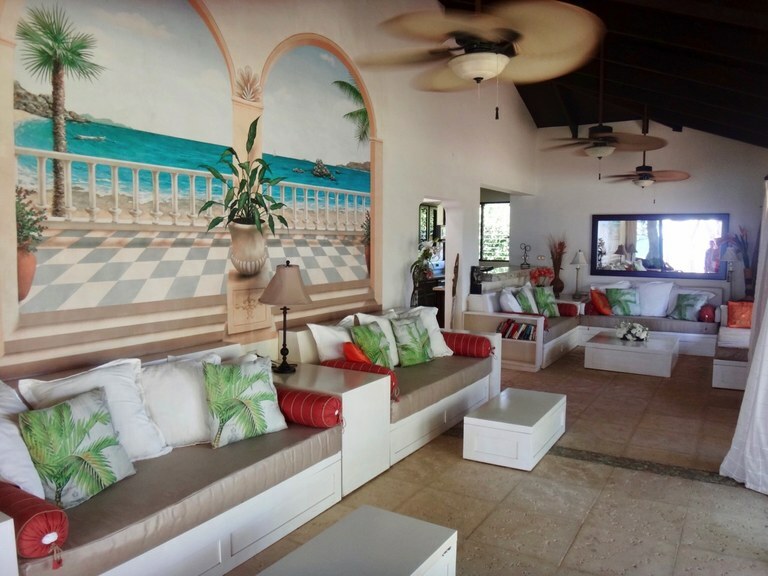 There is an expansive outdoor living space around the house. 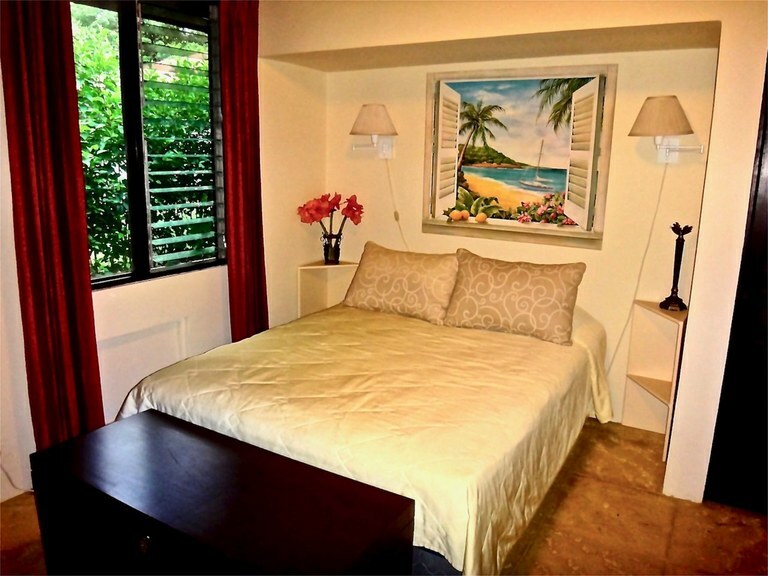 The third bedroom is located behind the common living areas and has two twin beds . 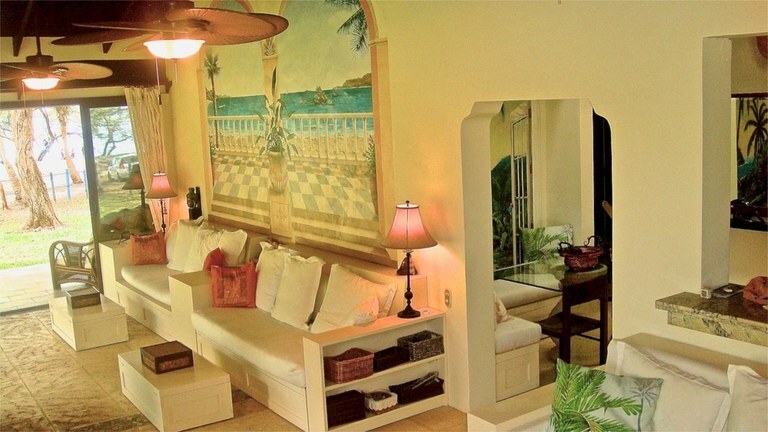 The master suite is facing the beach front view, serves as a sanctuary for those who reside there. 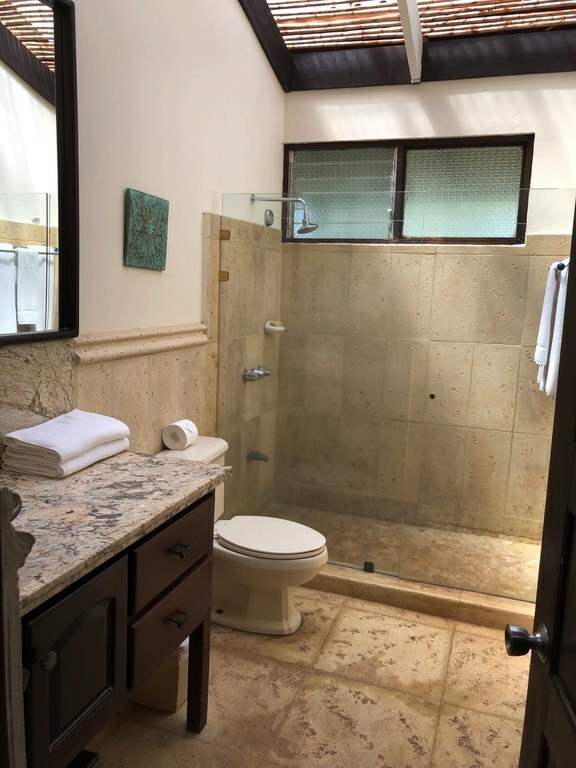 With its own covered patio (900 sq ft), spacious ensuite bathroom, you'll enjoy an elevated sense of peace and tranquility when you need time to yourself. 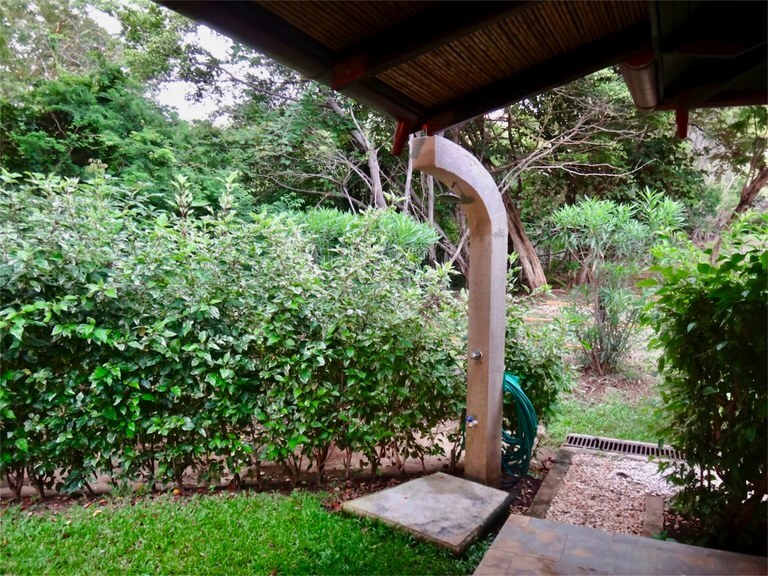 Additionally, the abundance of lush greenery is enough to take your breath away. 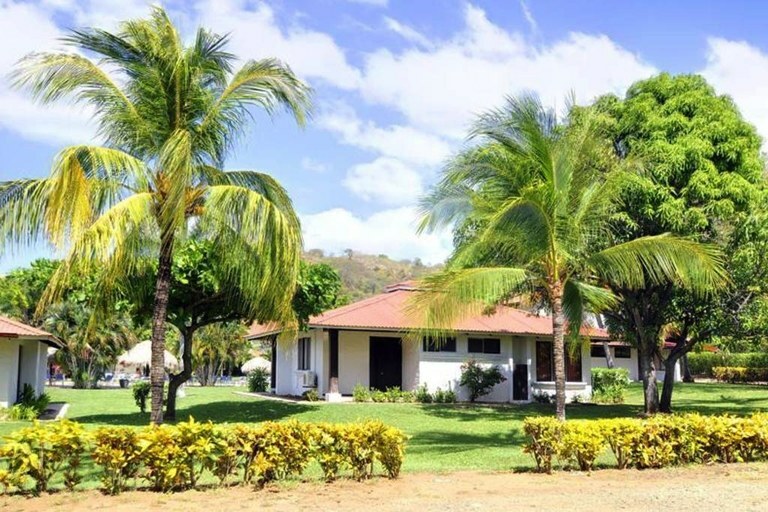 With its mature landscaping and abundance of fruit trees, you'll be able to pick mangos, limes and coconuts right off the trees. Estival is a rare piece of real estate you won't see available for long. 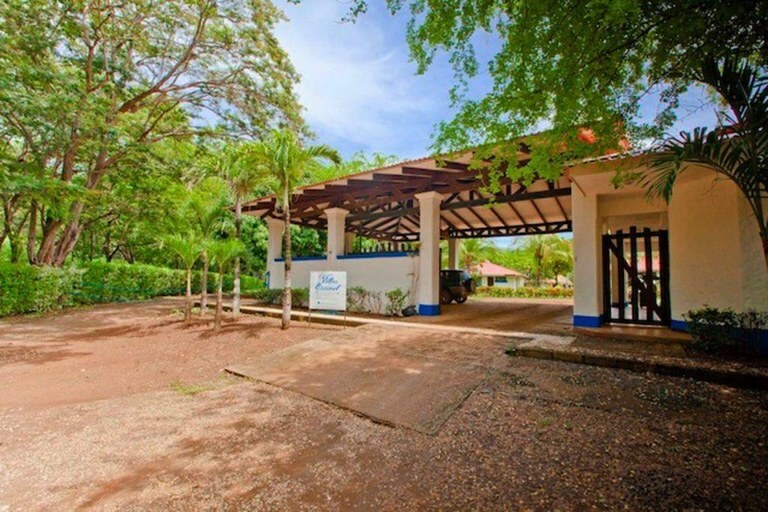 The home has a long successful profitable history as a rental property, more than covering the costs, so if you're not ready to commit to living year round in Playa Prieta, here is a great opportunity to expand your real estate portfolio. 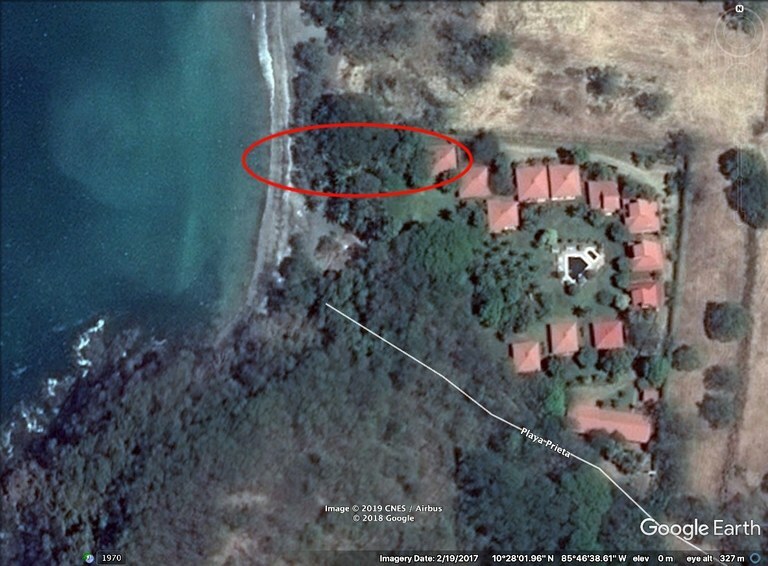 This 140m2 / 1507 SF property is listed with Summer Coast Realty—and for $445.000, it can be yours. 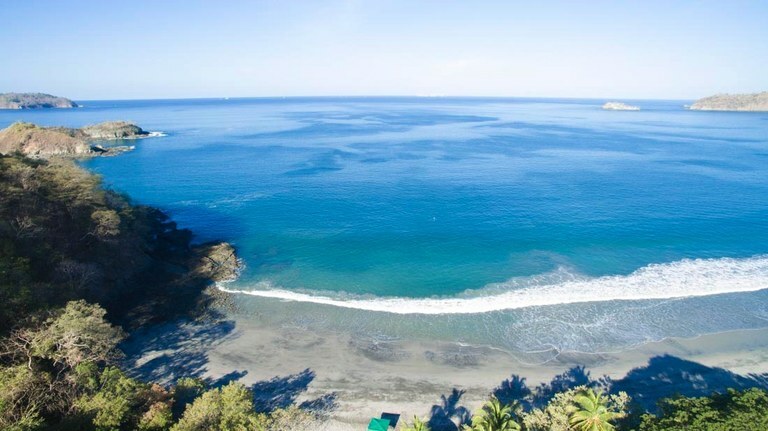 Contact us today for more information or a private tour of this gorgeous beachfront home.